Everyday Mathematics (EDM) is presented in 8 Units containing 12-15 lessons each. Summative assessments conclude each unit. In addition, odd-numbered units contain an Open Response assessment and even-numbered units contain a Cumulative Review assessment. 5th grade math is broken into five domains and 11 clusters (see below). The 28 individual core standards all fall under one of the 11 clusters. 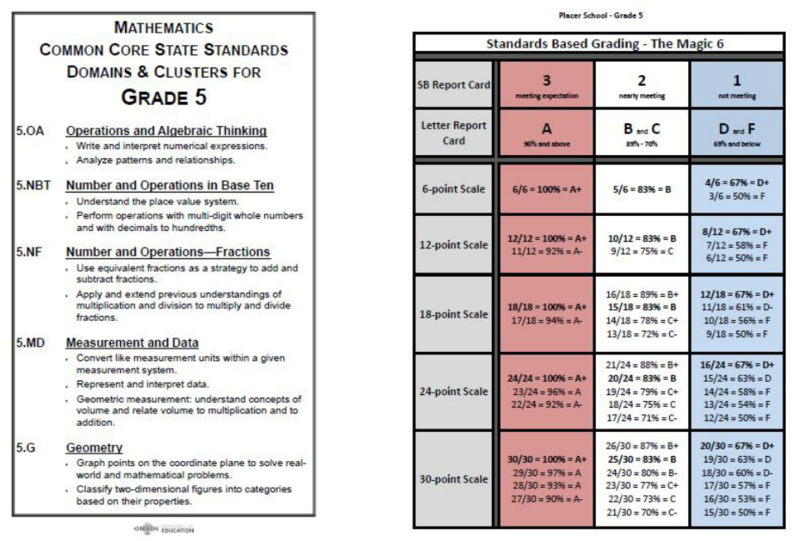 Summative assessments and SB report cards will be done by cluster and will be used to show how well students can independently demonstrate mastery of each cluster of standards. All grading will be done by using the Magic 6 Rubric below. 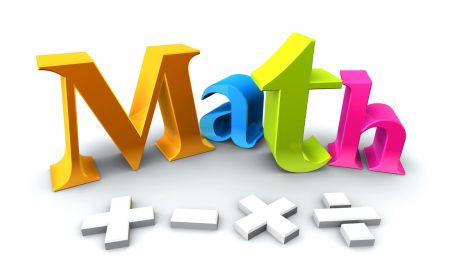 Students will also be provided many opportunities to engage in the Common Core’s mathematical practices and to foster habits that help with the enjoyment of math and the ability to use it effectively. The practice standards emphasize problem-solving, reasoning, math modeling, use of multiple representations, communication and collaboration. The eight standards are below.